ASUS is one of the world’s top-three consumer award-winning companies that are delivering hi-tech manufacturing products like a notebook, netbook, motherboard and user accessories. They are the world's best-selling, most award-winning company. 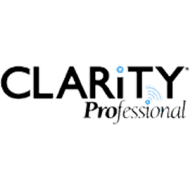 The brand is driven by the commitment and innovation to quality for products. When you talk about the user accessories then keyboard, mouse, and headphones are the top of the list of computer accessories. Here we are talking about the ASUS headsets and headphones. People already know that ASUS is one of the most reliable brands which means that they always deliver the high-quality products. 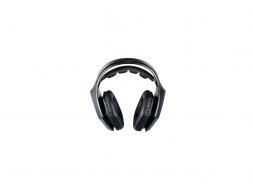 They have a variety of headphones available, and all are highly driven by the latest technology. 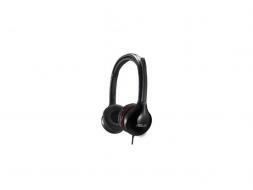 Whether you are looking for ASUS Corded Headsets or ASUS Wireless Headphones ASUS has got you covered. 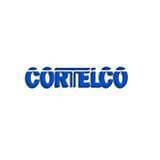 This brand has got the vast range of technology specified for every level of users. Although, different brands are manufacturing similar types of products ASUS also focuses on particular functions of the products that make them different from others. 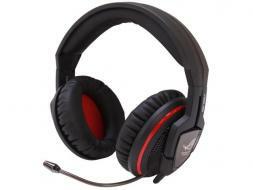 Whether you are looking for simple ASUS Headsets or ASUS Bluetooth Headsets, the company has got everything available. The gaming ASUS Bluetooth Headphones are not only made for gaming purpose, but you can also use them for listening music and making calls. They always find the best way to give you maximum functionality. They have researched that user comfort is the key thing when it comes to headsets. So they made headphones that offer their customers a complete comfort with high-quality sound. We have an entire range of ASUS wireless phones and ASUS Bluetooth Headsets at our store you can buy these headsets from our website. 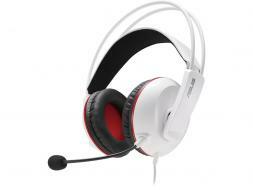 If you want to buy any of your desired ASUS headsets, Telegiants is the best source. We also give you 30 days money back guarantee on your purchase. 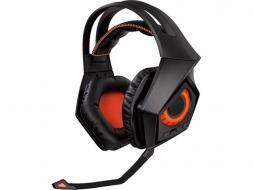 If you are looking for an ASUS STRIX 7.1 Surround Gaming Headset then you are at the right place because we have the original ASUS STRIX 7.1 Surround Gaming Headphone available in stock for you. This headphone has got the True 7.1 surround sound with is a lifelike quality. The foldable design of this headset allows ear cups to lay flat which is the ideal structure for packing and bringing to a LAN party or tournament. Moreover, its immersive audio with up to 10 neodymium magnets and volume control makes it different from the other ones. No, any Headset can work more perfectly with your PC and PlayStation then an ASUS ROG Strix Gaming Headphone. This is a complete wireless gaming headphone with 2.4GHz wireless technology that delivers a lower-latency connection than any of Bluetooth headphones for instant audio transmission. A USB dongle feature is also included in it which is considered to be an exclusive technology that perfects wireless connections to both PlayStation and PC with fully functional headset control. 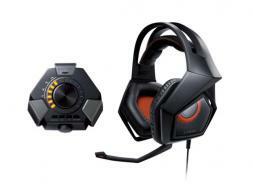 Gaming enthusiasts never think the second time when it comes to buying the gaming headsets. 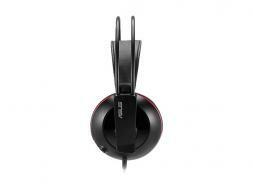 ASUS Cerberus Gaming Headset is solely made for the people who love playing video games on their PC or PlayStation. ASUS Cerberus Gaming Headphone has got dozens of features built-in because this headphone has the structure that delivers the complete comfort to the player. ASUS always thinks about the comfort of their consumers, and that’s the reason they always manufacture the products that can make them more reliable and dependable. 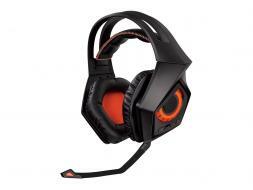 The Orion full-size gaming headset is intended to provide gaming addicts with the well-made audio immersion and positioning required in any game and at any place. After extensive study and advancement and taking consumers’ feedback into account, the ASUS Orion Gaming Headset concluded that user convenience is key when it comes to gaming headsets. ASUS Cerberus Gaming Headset Arctic White is designed to help you secure supremacy in every situation — and it’s also an excellent headset for daily listening! Connect Cerberus to your smart devices, laptop, and desktop to experience superb sound with splendid detail and punchy bass no concern what you do or wherever you do it. If you’ve not explored the power of 60mm neodymium-magnet drivers then entertain yourself with Cerberus — you’ll feel perfect punch and audio immersion that’s entirely convincing. You can omit compatibility worries with ASUS Cerberus Gaming Headphone Arctic White because it works with almost any device. 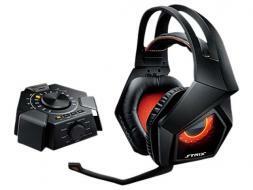 ASUS STRIX7.1 with 9.84 Foot Cable Gaming Headset is an excellent real 7.1 surround gaming headset superintended with 10 potent discrete neodymium-magnet drivers, full-size hexagonal labyrinth cushions (130mm transversely at the widest point) and smart static and breathing illumination effects. It is accompanied by a driver-free USB audio station that stresses loads of audio controls and sound effects. Taken from the Biblical Greek and Roman word for owl, Strix indicates the enthusiastic and strongest hearing and excellent eyesight. Strix means sensing your surroundings so that you recognize and react to the smallest movement. Strix means endurance on the very edge of ability. ASUS Strix Pro Gaming Headset is controlled and influenced by the 60mm neodymium-magnet drivers providing you the punchiest and real sound accuracy. No concerns about annoying mechanical keyboard sound to be caught by your teammates, the Environmental Noise Cancellation technology filters out over 90% sounds. Provided with Strix Pro, become a predator natural enemy to all your competitors. 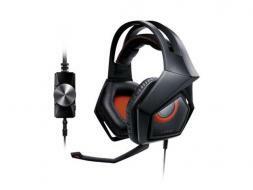 ASUS STRIX DSP Gaming Headset is the new addition to the technology of headset by ASUS. 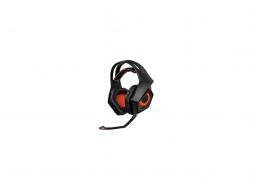 This headset has amazing features with durability and compatibility. ASUS STRIX DSP Gaming Headphone is especially reformed for gaming along with boasts 60mm neodymium-magnet drivers; has the peculiarity of plug and play USB audio station. It's the best compatibility is with PC, Mac, PS4, and smart-device compatibility. The ASUS presents latest headset in the name of ASUS CINEVIBE Gaming Headset with the advancement in field of gaming such as PS4, PS visual effect and MAC games. The ASUS CINEVIBE Gaming Headphone has a extended cable option, so you can enjoy the real sound effect with noise reduction feature by sitting far from PC. 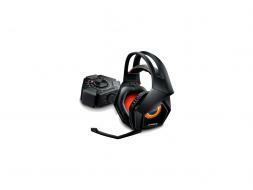 The headset boasts 60mm Neodymium magnet driver and compatible with PS4, MAC and other smart devices.